The DEK248 is a flexible, semi-auto, surface mount screen printer which can be configured to accept the DEKalign4 vision system." - Micro controlled menu driven operation. Owing to our proficiency in this domain, we are providing our clients an optimum range of Semiautomatic Fine Pitch Printer. Being a leader in the industry, we are engaged in manufacturing a premium quality array of 4 Hi Tower Semi Automatic Printing Machine. Backed with huge industry experience and market understanding, we are involved in manufacturing a wide variety of Semi Automatic Cylinder Screen Printing Machine for our valued patrons. 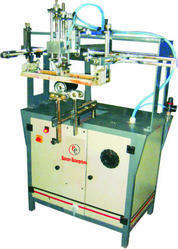 Mostly customers preferred to purchase quality products, so we are involved in providing Semi Automatic Printer. - SAP-60-Printing Area :- 50mm. x 65mm. - SAP-60EL-Printing Area :- 50mm. x 90mm. 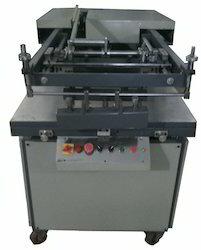 - SAP-90-Printing Area:- 75mm. x 90mm.